PetTech Solutions offers the best in dog breeding equipment and ultrasound for professional breeders and their veterinarians. We find, vet, prescribe and support practical reproductive technology to pinpoint ovulation, detect pregnancy and more. The Draminski Dog Ovulation Detector is exclusively available to CKC members and their veterinarians as part of PetTech Solutions’ partnership with the Canadian Kennel Club. CKC members can log in to the Member-Only Website or contact CKC to acquire the member only discount code. Learn more about member discounts, savings, and support for your breeding program. Pinpoint ovulation at a fraction of the cost of traditional testing. Learn more about our dog ovulation detector. Confirm or exclude canine pregnancy safely, comfortably and quickly. Lean more about our dog pregnancy detector. 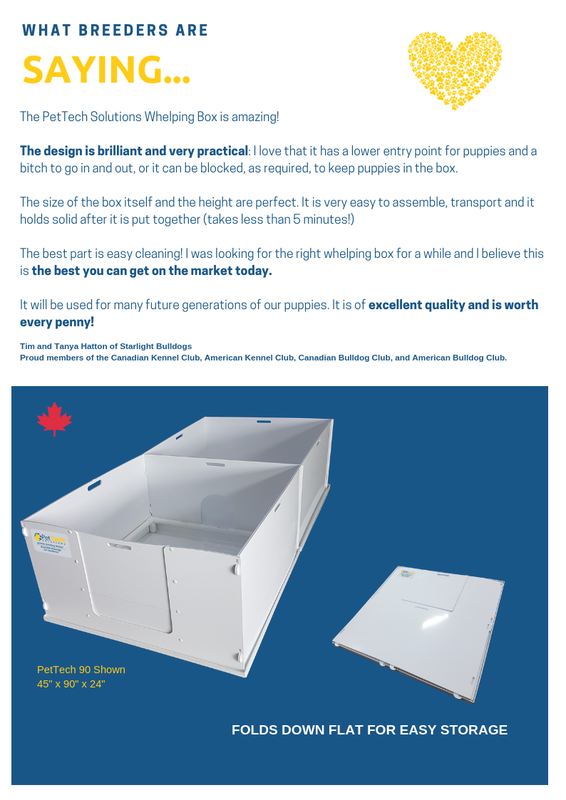 Canadian made, breeder designed Whelping Boxes. 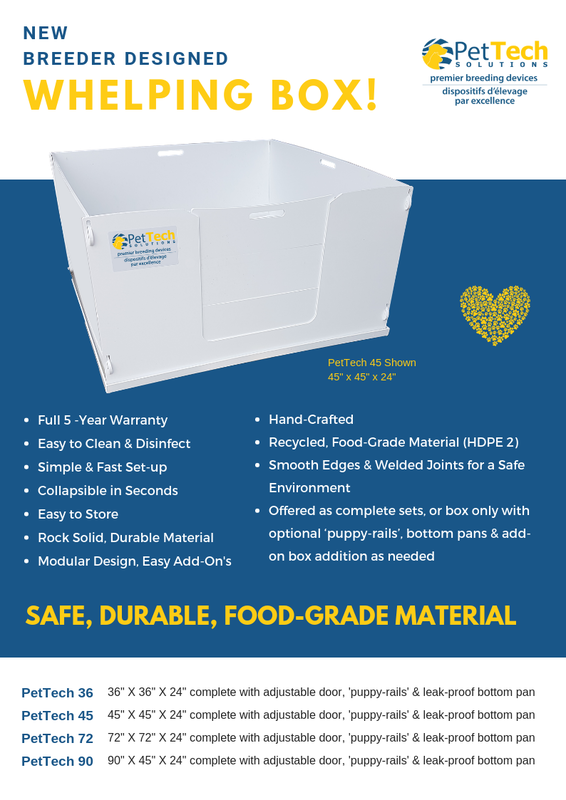 Made with food-grade, recycled material that is extremely durable, they’re simple and fast to set up, store and easy to wash and disinfect. Simple, modular design allows for add-on’s later. Unprecedented reproductive information for the professional dog breeder or small animal veterinarian. 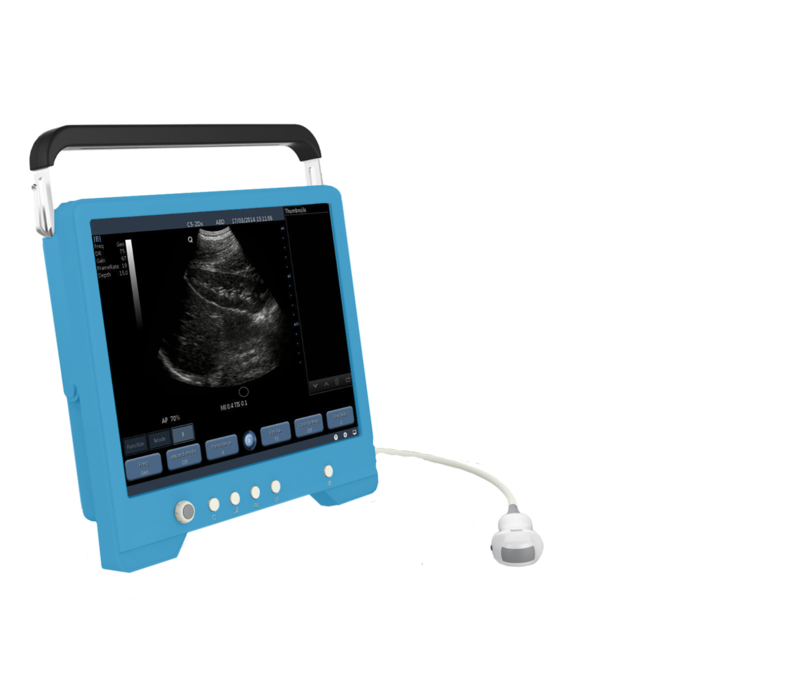 Learn more about the ScanPad ultrasound system for dogs and small animals. 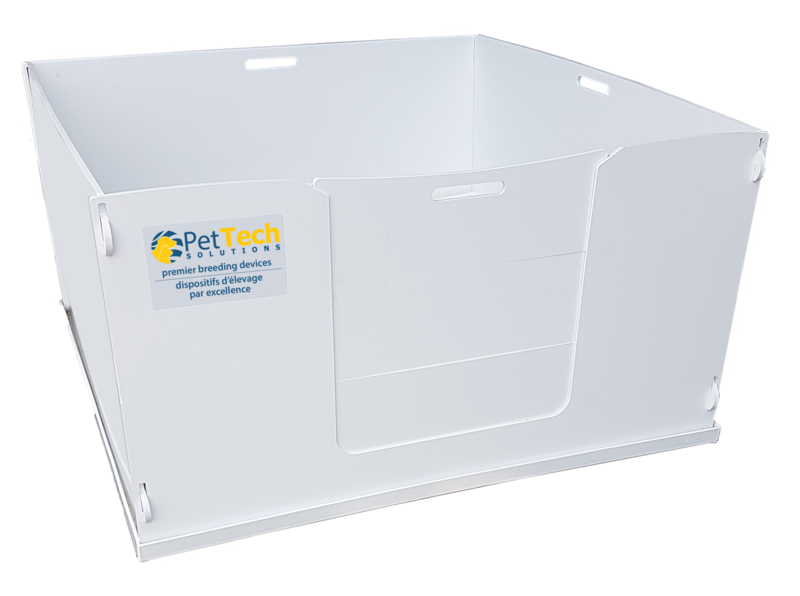 INTRODUCING THE NEW PETTECH WHELPING BOXES! PetTech Solutions supports responsible breeding.